Thread: Amp to drive hf horns and tweeters? Well im very happy with the sound of my JBL system, but i want to make a big change on the amp that drives my hf horns and tweeters. My system is biamped with a 2 way bss crossover and i use a passive one just for the tweeters , the speakers are the jbl 4530 loaded with jbl k140, on mid horns i got the 2445 on 2390 lenses and a 2402 tweeter. The amp for the lows is a crown psa2 and for the mid & highs a Sound Valves vta70. The sound of the system is very warm and detailed with nice soundstage . Im very pleased but i want to remove the tube amp from the system. I just want to be full solid state. Even if i found a amp with the same sound with the sound valves but in solid state ill be happy! So, any suggestions for an amp with that warm but detailed sound that will not change the character of my speakers much? Class a? Mosfet? Any brands? I see that in japan accuphase is popular with horns but i think they are a little bright for horns, same with bryston. Small krell? ML? I would also like to be close to the rest age of my system. Best regards!! I would go with a small Class A amp, vintage or new. The Bedini 25watt stereo amp is excellent and affordable if you can find one. There are numerous others as well. If you are handy with a soldering iron, Nelson Pass Class A single ended mosfet design kit has a wonderful tube like sound and works well with compression drivers. I use these on JBL 4722's 2453h-SL CD and sound smooth, but detailed. They are a good match for compression drivers due to their low voltage gain, so you don't need to pad them down, just a protection cap for turn off thump. The stock Meanwell power supply is low noise - I have to put my ear near the mouth of the waveguide to hear a faint hiss. Yeap 60 watts are more than enough for me ! What i want is good sound and safe operation. My 35wpc of my tube watts are enough but i wouldnt say no ti 60wpc ! Best wishes for the new year to yourself also. I'm a small size amp lover for a number of reasons, one being for the flexibility they allow me to have. There's not a whole lot of small Pro amps left in the new gear market, but here's a few suggestions to look at. I tend to prefer Pro ones over more "exotic" brands like Krell, Levinson, Pass, etc. for practical reasons. MOSFET? Sure why not. The only one I know of that still exists new, plus that I will possibly purchase in the new year, is the Rolls RA 200 studio amp. Don't know if available in Europe, you would need to check with them (rolls.com). They have other smaller ones but not MOSFET as I recall. I remember in the old days when these were more popular, MOSFET amps were said to overload more gracefully than conventional ones. In case you want to read two small paragraphs from someone who knows about MOSFET circuit design and its advantages, let me know I'll post them with reference (and its not even from Rolls). Crest Audio PA 150 or IPS 150 are other options, though they might have been discontinued recently. However, there could still be some units available in the local distribution system. Another one to check. Ashly SRA series models 2075 (2 channels) or 4075 (4 channels). I purchased recently two 2150 from that same series. I dont know if the "pro" solution is a good idea to drive the horns because thats where is all the resolution and character of the speaker. I had try a small bgw 100b, good mids but not good highs, also a small bryston 2b, good sound but no character (and some hiss ). I believe a class a amp will be the closest thing in sound to my tube power amp! I would have a look over on Diyaudio Store. If you can’t solder get a friend to help. Aside from the Amp Camp design the Aleph 30 is a nice diy option. This is a very smooth and clean SE class A mosfet amp. Nelson Pass has a number of impressive amps under his First Watt brand that would be excellent. I suggest you send him an email. He always replies and is very helpful. I am using the THX AAA 789 on my D2430K, and it does wonders! I am using the THX AAA 789 on my 476Mg, and it does wonders! 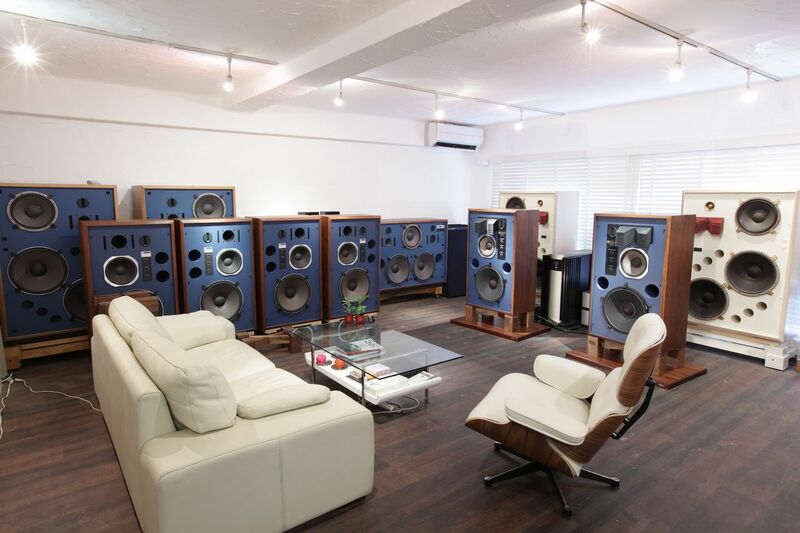 Since you're already a happy Crown user, why not try a D75A or D45 for the high-end? They are very clean, easily available at affordable prices around the world, and I think they sound great. Just a suggestion. I like them so much I have about three of each . . . just because! I even carry one and an iPod in the car in case I run across speakers that need testing. Nice little Class A amps. You actually mean the headphone amp?? If powering compression drivers without a passive high pass circuit between amp and speaker, a protection capacitor is always a good idea. If using the ACA Pass diy class A amplifier a protection cap would be required, since it generates a turn off thump. It's small, and no problem for a woofer, but I would not want to expose an expensive CD diaphragm to it.